When Prime Minister Lee Hsien Loong made a statement this week about Phey Yew Kok’s return after 36 years on the run, he said he was hoping for a “closure to a long standing case”, and “will not allow any cover-up, even when it is awkward or embarrassing for the Government”. The Straits Times 25 June 2015 report stated that Phey “has been on Interpol’s wanted list since , longer than any other Singaporeans”. Lee Hsien Loong should now explain why nothing was done when his father, Lee Kuan Yew, knew as least since 2000 that Phey Yew Kok “was last heard of in Thailand, eking out a miserable existence as a fugitive, subject to blackmail by immigration and police authorities.” . 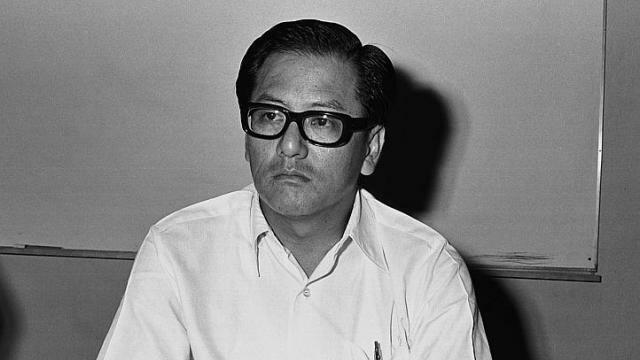 Inevitably, the older netizens recall Phey Yew Kok as a key prosecution witness in a trial in 1974 where two workers and I were convicted for alleged “rioting” at the premises of the Pioneer Industries Employees’ Union (PIEU). In the blogs, you will read about the demands for Phey Yew Kok to come clean about the frame-up. Also, the name of the Judge who presided over the 47-day trial, T.S. Sinnathuray, is constantly mentioned. My parting words to the Judge congratulating him for his future promotion to the High Court are now widely quoted. 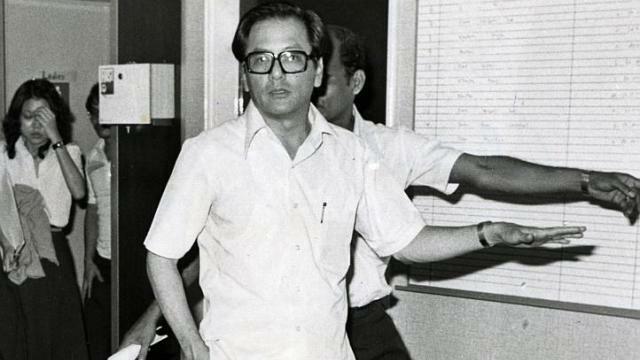 Devan Nair was Lee Kuan Yew’s close cohort during those early days after independence. “I needed him [Devan Nair] in Singapore to play a key role in maintaining industrial peace. Devan became the Secretary General of NTUC, and Phey was given the task to control the workers in Jurong as the Secretary-General of the PIEU. 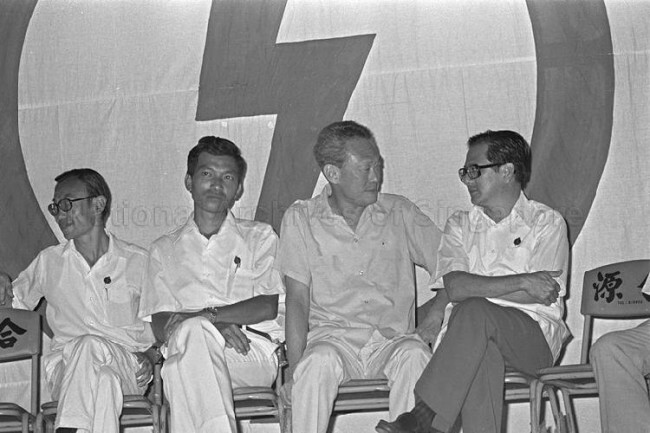 Although ostensibly “trade unionists”, they were an integral part of the PAP political hegemony, glorified as a “symbiotic relationship”. By that, it means you scratch the back of the PAP, and it would offer you protection and benefits. In the mid-1970s the PAP government was facing widespread international criticisms and condemnations for human rights violations. In response, Devan Nair launched an attack on the critics of the PAP at the Triennial Delegates Conference of the NTUC. He claimed that those international critics were fed with “falsehoods by pro-communists enemies of Singapore, right here in our midst”. 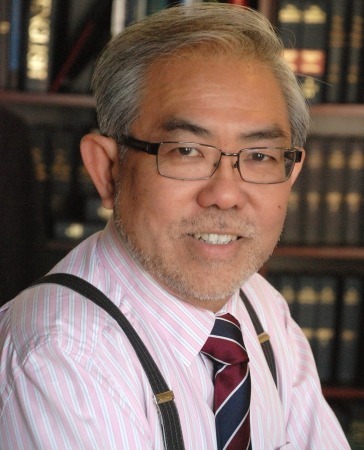 The falsehoods he cited were: Singapore is a one-party state; and that People in Singapore are arrested and detained in Singapore without trial for their political opinions. 40 years after that promise, we know that retired workers are still wondering where are the “fair shares” and “group properity” due to them. Back in 1974, we, the students from USSU, and the Polytechnic were challenging the entire fallacy. 1974 was the year of recession and redundancies. The PIEU, we discovered, was not working for the interests of the workers they claimed to represent. In those politically bleak days, there were no NGOs. Our allies were a few dedicated but unpaid social workers, including Vincent Cheng, whose church-funded organization, the Jurong Industrial Mission, was forced to close because of pressures exerted on their trustees by the invisible hand of the State. Another informal ally of the students were members of the Young Christian Workers’ Movement and their Jurong-based Chaplain, the late Father Joseph Ho. Through them, and their contacts with workers, USSU found out about the plight of workers from the American Marine factory who were made redundant, and who were unable to obtain any help from by their trade union, the PIEU. 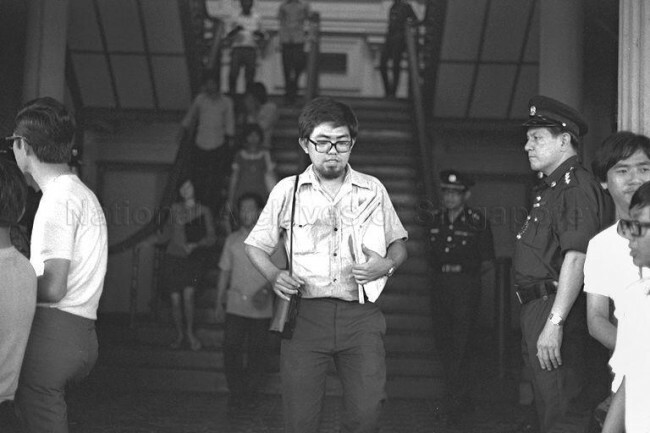 Phey Yew Kok’s attack against me in the criminal court in 1974 set the stage for the political persecution and suppression of the entire student movement in Singapore. The persecution of the student leaders that follow, including the deportation of other student leaders, and the banning of USSU, and suppression of the students at the Singapore Polytechynic and Nanyang University during the 1970s period suited the political ambitions of those in the PAP–Trade Union symbiotic relationship.